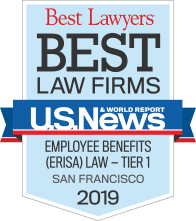 Dylan is an associate in the firm’s nationally-recognized litigation practice group, which is ranked in the first tier by US News and World Reports Best Lawyers. He represents plan sponsors, trustees, and other fiduciaries in a wide range of employee benefit cases, including 401(k) class action litigation, claims for medical and pension benefits, ESOP disputes, and cases involving executive compensation. Dylan has written articles discussing the current state of “stock drop” litigation and the viability of statutory penalties claims against plan administrators. He is admitted to practice in all of the federal district courts located in California. In addition to his litigation practice, Dylan represents retirement plans, health and welfare plans, and plan fiduciaries in investigations and agency actions brought by the U.S. Department of Labor and Securities and Exchange Commission. Dylan counsels clients on plan asset investment, risk management, insurance coverage issues, and regulatory compliance. Prior to joining Trucker Huss, Dylan’s practice concentrated on ERISA benefits and fiduciary breach, insurance bad faith, and securities litigation, and entertainment service agreements and negotiation. 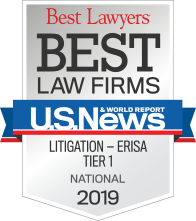 Are ERISA Claims Subject to Arbitration? The Pleading Standard Applicable to Claims Involving Private Company ESOPs: Does Dudenhoeffer Apply or Not?